Margo Flynn says she has lost count of how many times fans have asked her what they need to do to own a racehorse. On Saturday at Tampa Bay Downs, the track's Vice President of Marketing & Publicity will have a simple answer: fill out an entry blank in the “Tampa Bay Owners Club” contest, pick the winner of the seventh race and cheer their potential new acquisition to victory. Just about everyone who has visited a racetrack more than once in their lifetime has developed a yearning to own a horse. Tampa Bay Downs will help make that dream come true, albeit without the financial risks and rewards associated with ownership. The inaugural “Tampa Bay Owners Club” contest gives fans a chance to be part of a fantasy syndicate ownership group. Anyone 18-and-older attending Saturday's card is eligible to participate, with paid admission. Upon entering the track at either the main Grandstand or Clubhouse entrance, fans will receive a contest entry blank. To participate, they must fill it out completely, then deposit it in a box corresponding to their selection for the seventh race. Anyone correctly picking the winner becomes part of the “Tampa Bay Owners Club” fantasy syndicate. In the event of a dead-heat for first place, two sets of winners will be declared. Winners will receive many of the perks associated with Thoroughbred ownership each time the winning horse returns to action during the current meeting, including free admission; a Tampa Bay Downs racing program; a mutuel voucher; concession-stand discounts; and an attractive pin identifying them as a “Tampa Bay Owners Club” member. Members of the “Tampa Bay Owners Club” also will be admitted to the paddock before their horse's races and to the winner's circle whenever their horse wins again. Contest winners will be contacted via e-mail whenever their horse is entered at Tampa Bay Downs. 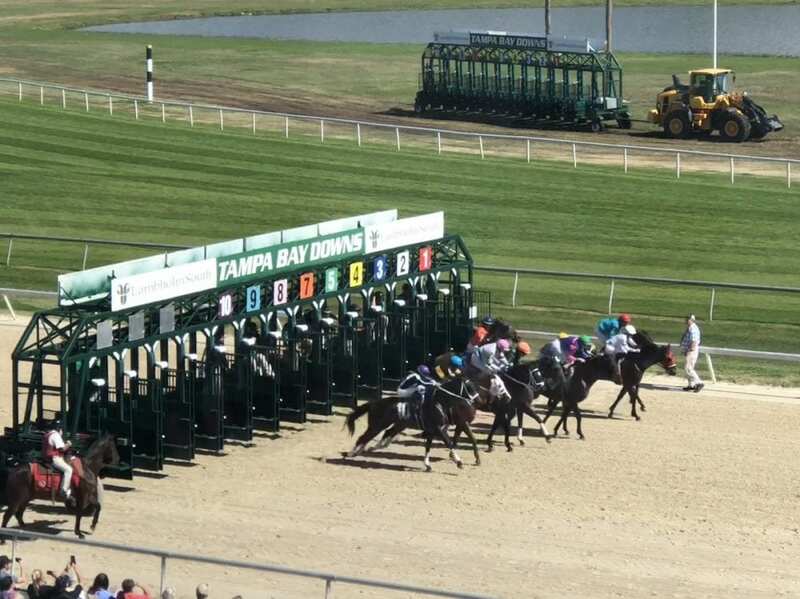 The “Tampa Bay Owners Club” contest is designed to give racing fans a taste of the joys, occasional disappointments and complexities of owning a racing Thoroughbred. It will also provide the winners a chance to make new friends and meet trainers and jockeys. “Ideally, we would love to see some members of the club become involved in ownership for real,” Flynn added. This entry was posted in Horseplayers, NL List and tagged Florida horse racing, Margo Flynn, tampa bay downs, tampa bay owners club by Press Release. Bookmark the permalink.